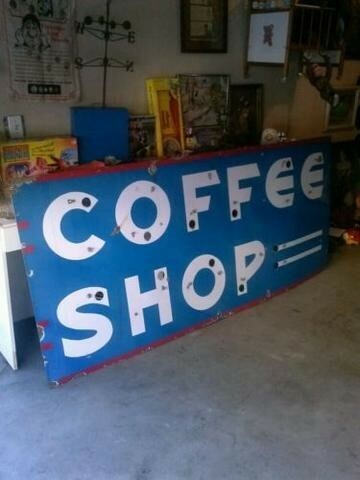 Measuring 86″ by 38″, this large sign is for a Coffee Shop. This is a single sided porcelain neon sign. The words “Coffee Shop” are in white while the background is blue with red details.